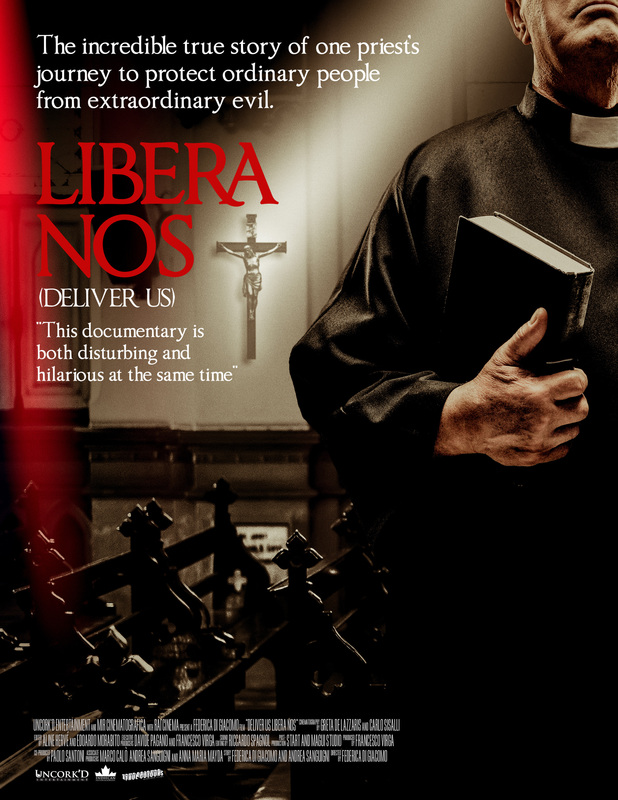 While countless horror movies about demonic possession, including The Exorcist and The Omen, have become staples to watch around this time of year, the documentary Libera Nos provides a chilling companion piece to these Halloween classics. This is an “inspired by true events” horror movie in the most literal sense, and also one of the most intriguing, challenging and disturbing nonfiction works this year. With claims of Satanic possession on the rise, Father Cataldo is one of only a handful of priests performing exorcisms for the Catholic Church in Sicily, with people travelling to see him in hopes they will be cured of personal demons, and we are given the rare and uniquely thrilling opportunity to watch him at work in Libera Nos, which translates to Deliver Us. Even he will admit that some of his clientele merely have “human disorders” and should seek actual psychiatric help, which we see early on in the film. But there are also the cases where people have already been to doctors and have no diagnosable conditions, yet fly into bizarre rages whenever they are faced with religious symbolism, leaving them cursing, spitting, growling and writhing around on the floor as if they are channelling pure evil. It’s these people that Father Cataldo aims to help, and filmmaker Frederica Di Giacomo follows him through an observational lens. The film doesn’t pass judgement or try to diagnose its subjects, instead allowing audiences to bring whatever beliefs they have to the film and judge for themselves, which is precisely what makes it so haunting and impactful to watch. For good to exist, evil must also exist, and while these concepts are already accepted by those of us raised in Catholicism, rarely do we get to see the push and pull between these forces captured so literally onscreen. This is a fascinating and unsettling look at real life exorcisms, that is chock full of sequences that are hard to shake, and leaves us questioning if it’s possible that the people we see onscreen are actually suffering from demonic possession. And the film gets extra points for ending with a song from Ryan Gosling’s delightfully macabre band Dead Man’s Bones. Libera Nos is now playing in limited release at the Carlton Cinema in Toronto, tickets and showtimes can be found right here. A version of this review originally appeared during the 2017 Hot Docs Film Festival.